Anyway, as much as I’m a big fan of balls and bites now, I jumped on the bandwagon so late that it’s kind of hard to find new and exciting combos to share with you since most of them have been done before. 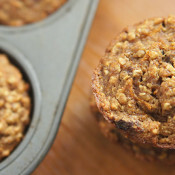 Luckily, I love me a good roundup, so today I’m going to share some of my favourite energy ball and bite recipes from the blogosphere with ya. 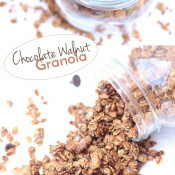 No Bake Healthy Chocolate Truffles via To Live and Diet in L.A. Were you an early adopter of the ball/bite craze? What are you favourite flavours? haha yes, i was an early adopter because of my local snack bite biz! YAY! And it all started in 2009! Wish i had these flavors then, yum! I’ve never jumped on the small bites band wagon, but your pictures make me want to! LOVE bites… and been loving them for many, many years. I think I first started making them in 2010, and while it can definitely be hard to come up with new flavour ideas these days, you can’t argue with how good the classics are. Thanks for including my bites! Amanda @ .running with spoons. recently posted…. lemon blueberry greek yogurt muffins . 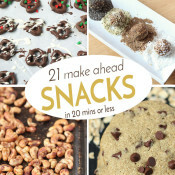 I need to make these–between my son and me, we are crazed for protein snacks! 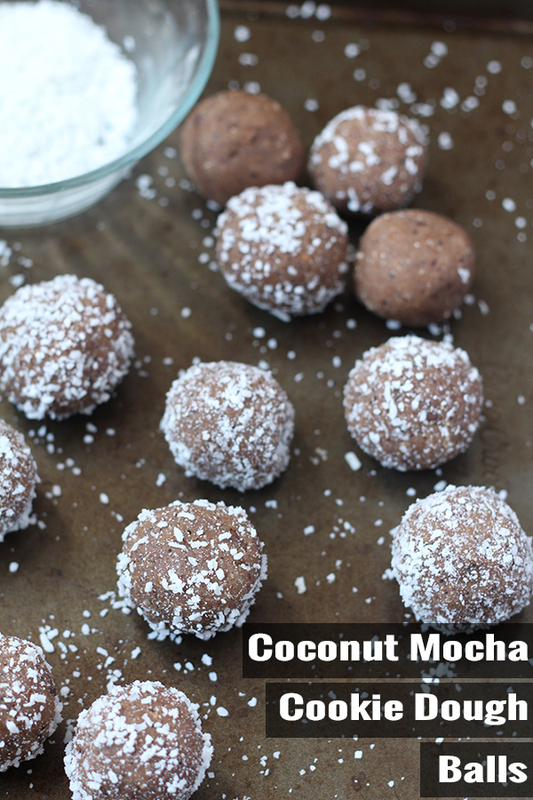 These look really good….a lot healthier than my Oreo balls! I’ve only made balls once. I like “balls/bites” I just to have to remember portion control. Wow, so many delicious pictures of bites! You’re making me hungry! These are great! Thanks so much for putting the list together. 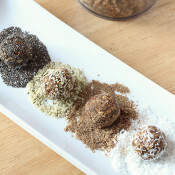 I love to make energy balls and my kids love them too! I need all of these in my belly immediately!